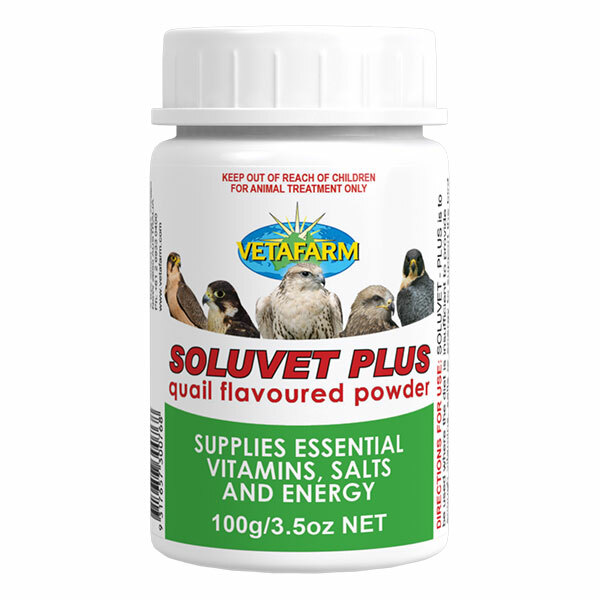 Quail flavoured powder for addition to food items. 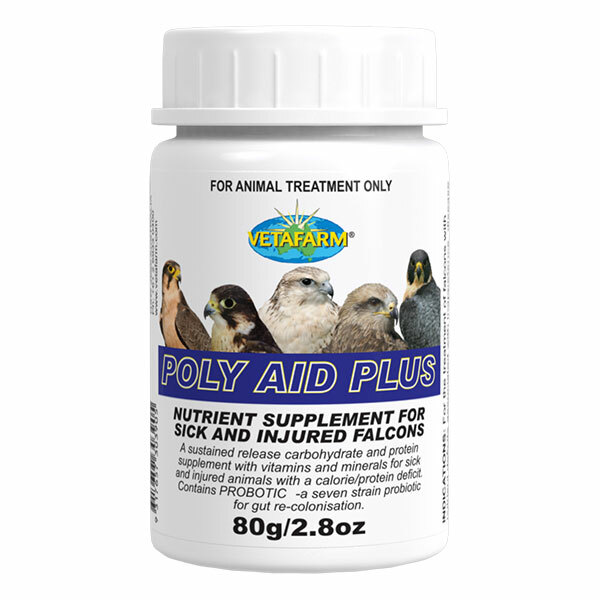 Supplies essential vitamins, salts and energy during times of exhaustion and dehydration from hunting, travel, disease and injury in falcons. 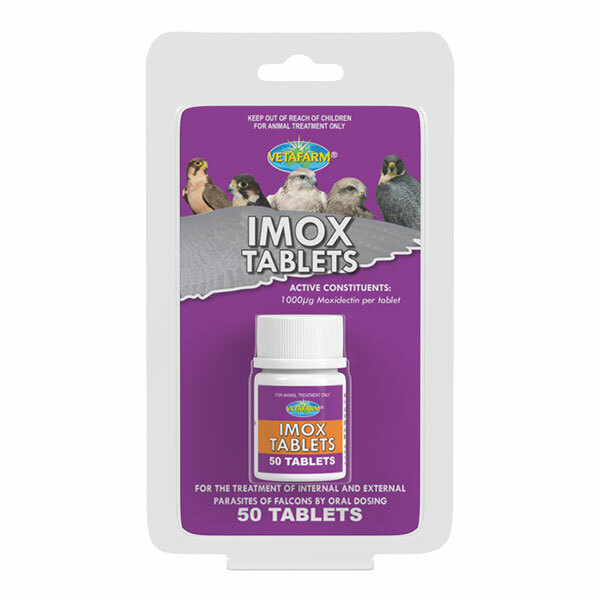 Use where the diet is insufficient to provide enough vitamins, salts or energy to support the bird during temperature changes, transport, hunting and during and after disease or injury. When stressed, all birds will dehydrate and go into energy deficit. Speedy recovery from these symptoms needs careful attention to diet and water intake. Sprinkle 1 scoop of powder over each quail before feeding. Vitamins: A, B1, B2, B3, B5, B6, B9, B12, D3, E, H & K, choline bitartrate, iodine, magnesium sulfate, sodium citrate, sodium bicarbonate, sodium chloride. 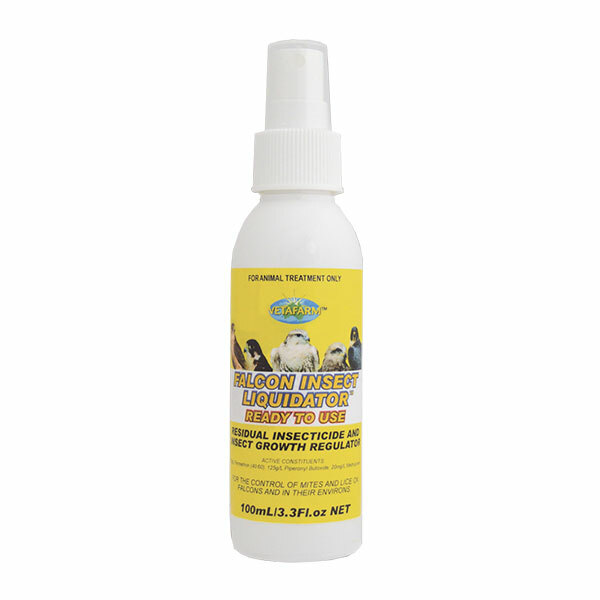 Controls mites, lice, biting insects, houseflies, mosquitoes, cockroaches and spiders in the bird’s environment. Poly Aid Plus saves lives! It is the original “First Aid in a Bottle” for falcons.